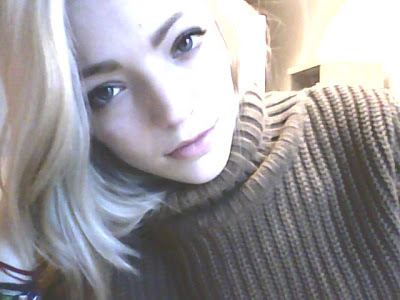 TURTLENECK: PRIMARK. FAUX-LEATHER TROUSERS: H&M. CLUTCH: PRIMARK. COURTS: PRIMARK. *Notice I've tried to style my hair like the Ashey Olsen post from yesterday, pretty nifty aye?! I'm also so pleased my hairs finally ligtening up.. next stop white blonde! One thing I will say, it's a change for the better, not only am I dressing a little more mature but I find this simplistic style helps you shop less and when you do shop you may spend more on one item, but you pay more for quality of the cut or material because of course theres no other prints or embellishment to distract you. So in the long run, the pieces last longer and will be basic staples in your wardrobe for years to come. I also find I am becoming more selective about what I buy, because a lot of basics can look very similar and so you need less. And of course, less is more with this look!I will say I've never bought so much black before surprisingly (I was shocked I didn't even own a black jumper or pair of simple courts), it just wasn't a 'colour' for me. But who knows I may become bored with the minimal trend again, but the good thing about it is you can never have too many black shoes, and basics go with everything.. or vise versa. Simple! WHAT DO YOU THINK OF THE MINIMAL TREND? I love the outfit. refreshing change to some generic looks i've been seeing a lot of lately. great blog and I love the name. :) following. this look reminds me so much of Love Aesthetics. really like the new hair! I love being a the minimalist trend. Sometimes I'm surprised at how good someones outfit looks even though it really only has two or three elements to it. Hi, I'm Nicole from Romanian Princess! It's a blog all about everything girly! Please stop by and follow, as I am following you! You look gorgeous. And those leggings are a beaut. I love this outfit! I'm a big fan of minimal fashion. I think it's a bit less disposable, if you know what I mean. Most items seem to last more than one season.